This entry was posted on October 20, 2010 at 8:28 pm and is filed under UltraStar. You can follow any responses to this entry through the RSS 2.0 feed. You can leave a response, or trackback from your own site. If i make a change in the song by changing the GAP because the synchronisation isn’t right, i can’t save it. There’s a save error. So i can’t synchronise my songs with the text. I don’t have a straightforward answer for that question as it’s not a problem I’ve come across before. Does it happen with all of the songs or did you just try one? What does the save error say? If it’s occurring with all of them, then the main cause I can think of is if the .txt file is somehow write-protected. If you go into your UltraStar directory and find the .txt file, and right click on it and go to ‘Properties,’ is there a box ticked saying ‘Read Only?’ If so, that might be why the editor can’t save the changes. If you unselect read only for the whole directory then it should work. Failing that, have you tried the ChallengeMod (http://ultrastardx.sourceforge.net/usdx-downloads/usdx/#stable) version of UltraStar? I find that the editor on that is a bit better, and if we can’t work out why the main version of UltraStar isn’t saving the changes, then for whatever reason, the ChallengeMod might be able to save the file where the main version can’t. 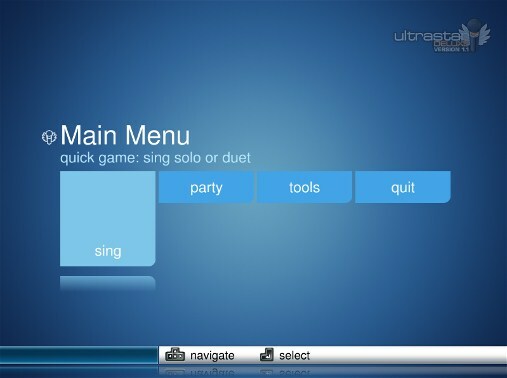 You can still use the main version of UltraStar to play the game, but you can use the ChallengeMod to edit the songs (it works in exactly the same way). If you download the latest version of the ChallengeMod, it’ll install by default to a different directory, so you can have both versions on your computer at the same time. Copy some songs over to the songs folder in the ChallengeMod directory and see if they will work with the built-in editor. It’ll be a slightly different way of doing things but it won’t make much of a difference. If the song works in ChallengeMod, then it’ll work in the main version. Problem fixed :) it was write-protected and i unselected the ‘read only’. Thanks a lot for making these guides! They’ve really gotten me started using UltraStar. One problem you rather helped create than aid with is where I can find that Super Mario tune? It would be awesome to have! Any hint regarding this would be greatly appreciated! I’m trying to add a song and the preview works fine with both sound and video, but when I press enter and want to start singing – it says that the song couldn’t be loaded. Any solution spring to mind? The reason that it’s not loading will be to do with an error in the .txt file somewhere; for example, a line break may appear in the wrong place, it might be missing a #BPM tag… there are a few things that can make it fail to load. Within the UltraStar directory there is a .txt file called “Error” that will list all the problems with all of your .txt files – there will probably be quite a few errors listed across your collection, but it’s not normally a problem. This may be a little bit convoluted and for that I apologise. I’d recommend giving it a go though, as it really helps you to understand the ins and outs of .txt files (I learned a lot about UltraStar by going through and troubleshooting all of them!). However, if you’re stuck, feel free to email me the .txt file or point out where it is, and I’ll see what’s up with it :) Hope this is some help anyway! Whoa! The answer was so massive that I managed to miss it, thanks a lot! However, sadly none of the errors you listed is what I receive (even though I believe that will be very helpful to know eventually!) – it simply says “ERROR: BPM tag missing: E:\ (directory + song.txt)”. At first I thought that it meant that the .txt author had missed one of the three figures in one line so that the program read it wrong, but I don’t think that’s the case after looking it through. Do you know what the error I receive might mean? Ah, so that’s why I couldn’t find it. I searched for Super Mario and stuff. Do you have any idea regarding the second question? RE: BPM tag – this refers to the Beats Per Minute and it is needed in the topmost section of the file for the .txt file to work, so that would explain why US is refusing to load it. I’m not sure why it wouldn’t be there, what song is it? Where did you get it from? On row 5 it says “#BPM:274,17”, is that what you refer to? The song is Red Hot Chili Peppers – Can’t Stop. Got the audio & video from youtube and the .txt from USDB. Would you mind to take a quick look at it if I send it too you? Feel free to, though I think I know that you need to do. According to USDB, the BPM is 274,17, so you just need to add the #BPM tag into the file (may be it got deleted by accident when you were changing the mp3 filename or something, I think I’ve done that before). I’m sorry if I was vague, but what I meant to say was that the said tag has been there the entire time. I’ll send you the .txt, in the exact shape I’m using it. My download Ultra star can not be marvelous as it is now without your effort creating this page with a very good impressive explanation you have done benefiting us all…..
No problem Xelebrity, thank you for commenting! Feel free to email me the .txt file, or you could simply paste its contents into a comment. It’s tricky to know why without examining it in more detail, there could be a few reasons why it’s not working. I have correctly saved and named the txt and mp3 files but US deluxe still doesn’t pick up the songs. When chosing tools>editor to find songs, rather than looking in registry C:\Program Files\Ultrastar Deluxe\Songs it defaults to C:\Program Files\Ultrastar Deluxe\mid. and if you try to change it instanly crashes?!? Looks like a really neat bit of software if only Icould ever get it to recognize a song! I’m really sorry for the delayed reply, but I only just saw this comment in my inbox! I hope this isn’t too late and that you’re still interested in trying the software, or you’ve managed to fix it. 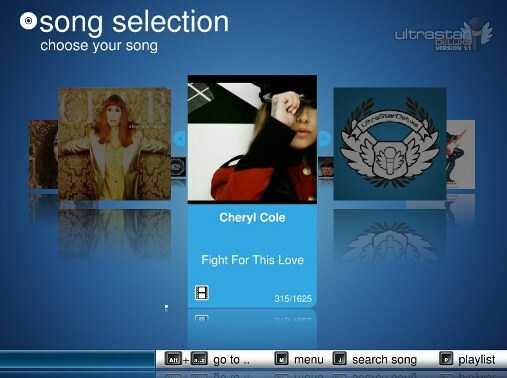 Can I just clarify – are you trying to get UltraStar to read the song directory? The editor on the tools menu is there for song creation from scratch, rather than to read .txt files that already exist. The directory that this toll defaults to is unrelated to your normal songs directory. How many songs have you got saved? Is it not picking up any of them? I have a mac and downloaded the mac version of Ultrastar and when I try to go to the ‘Editor’ section it says that ‘this feature is not included for mac’…. is there a way around this? I’m sorry to say that I am completely unfamiliar with the mac version of UltraStar – it’s news to me that the editor doesn’t work! Have you tried different versions of UltraStar or just the one? It’s possible to have multiple installations on one computer. Failing that, have you got a Windows PC that you could use just for the editing part? Amazing tutorial. Thanks a lot… Thanks a lo… Thanks a lot, Kokairu! Do you know how to define a cover image for a *folder* ? Well, it could be worse! Vocaluxe looks very promising, it’s just a shame that it’s not quite at the same stage in terms of features. I must confess that’s a pretty nifty feature…! Alas, that didn’t work for me. My folder name has spaces in it, and so did my jpg, maybe there’s a bug regarding that. But really the covers should be part of the songs folder (shared between Ultrastar, Performous, and Vocaluxe for me)… they should have decided that when making “the standard” that all 3 games use. Hrm. Feel free to email me your image and I’ll see if I have any more luck? Have you had success with other image files? Well, that is the only one I ever tried. Haven’t tried any others. Running back into me–haha! I guess there’s not much on the ‘net about this :) Too bad it isn’t in the docs. Is there a max image size perhaps? I need to get back onto the MLP karaoke project, got a bit sidelined with my new project unfortunately! Yeah, I have to say I still haven’t used Vocaluxe much at all, it doesn’t seem quite as intuitive as USDX (and even then I had to learn a lot of that through trial and error!). can you teach me how to created my own text file b’coz most of the songs i like, i couldn’t find it on USDB..btw,thnk you so much for this tutorial..
particular post, “UltraStar: Getting Started & Adding Songs � The Bricky Blog”. Do you mind if perhaps Iapply a bit of of your suggestions?